Mark Lowry wrote the words in 1984 when his pastor asked him to write the program for the living Christmas tree choir presentation. The music was written by Buddy Greene. Michael English was the first recording artist to record and release ‘Mary, Did You Know?” on his debut album titled Michael English which was released on January 1, 1992. Country music artist Kathy Mattea recorded her version of the song in 1993 for her Christmas album “Good News”, thus giving the song its first widespread exposure to Country radio. Nearly every major pop and country artist in recent years has included this song on their “official” Christmas CD. 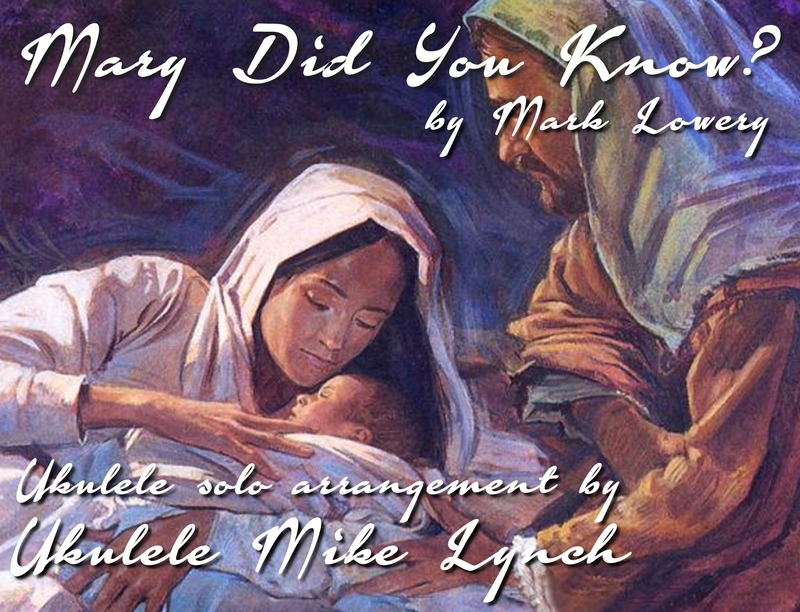 Sung by school and church choirs worldwide, it has become a beloved classic at Christmas time. Below is a performance by Ukulele Mike Lynch of his solo ukulele arrangement.